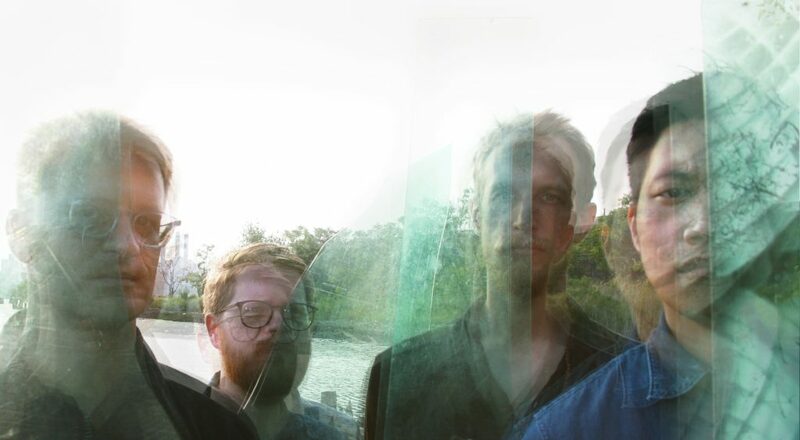 For The Slow Reveal, four drummers with an obsession for loud, weird, and beautiful music have coalesced into an idiosyncratic percussion-centric group with post-rock prowess. ensemble, et al. is not your standard percussion ensemble. Although the group got its start in the New York contemporary classical world, the band never quite felt at home in this setting. After years of self-discovery, collaborative-writing and recording, the group left behind its mild interest in academic acceptance and moved headlong towards its vision of textural soundscapes, 70s Miles mystery, and IDM intricacies. The Slow Reveal—engineered and produced by John McEntire (Tortoise, Stereolab)—has all the soaring soundscapes, ferocious drumming, and bombastic bass sounds you would expect from the genres mentioned above, with the patience and payoff characteristic their academic antipoles. Each song is a story that is both entrancing in its repetition and kinetic at its fruition. 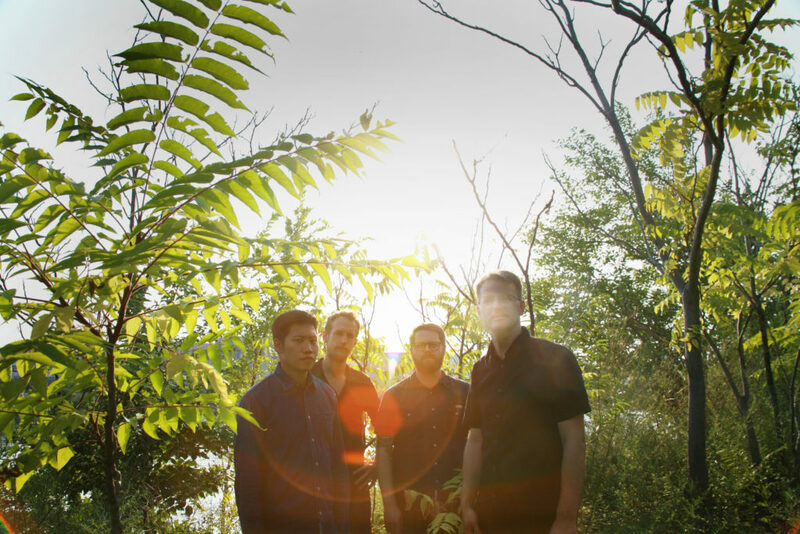 Within the months after releasing their first full-length album present point passed in 2014, ensemble, et al. was invited by contemporary music stalwarts Sō Percussion to perform as part of their Brooklyn Bound series—a salon format where artists are encouraged to showcase experimental work. Building on the creative momentum from their previous record, the band posted up in the rehearsal studio and got to work collaborating on a whole new batch of music that would comprise the forthcoming record: The Slow Reveal. Since premiering these songs in spring of 2015, they’ve gone through a number of iterations having been rearranged, rewritten, deconstructed, reconstructed, reevaluated, performed for audiences, discarded, demo’d, and reimagined many times over. In process, in pallet, and in finished sound, these new songs have signaled for the band a step away from their beginnings as an experimental chamber ensemble and toward something more resembling rock music without guitars. When the time came to record the album, one producer/engineer stood out as the ideal artist who would understand the group’s approach and elevate their work better than any other. In April 2016, they ventured to Minbal and Soma studios in Chicago to record with drummer, producer, and engineer John McEntire—best known as a member of Tortoise and The Sea & Cake, and for his work with Stereolab, Gastr del Sol, Bell Orchestre, Jaga Jazzist, and Yo La Tengo among many others. 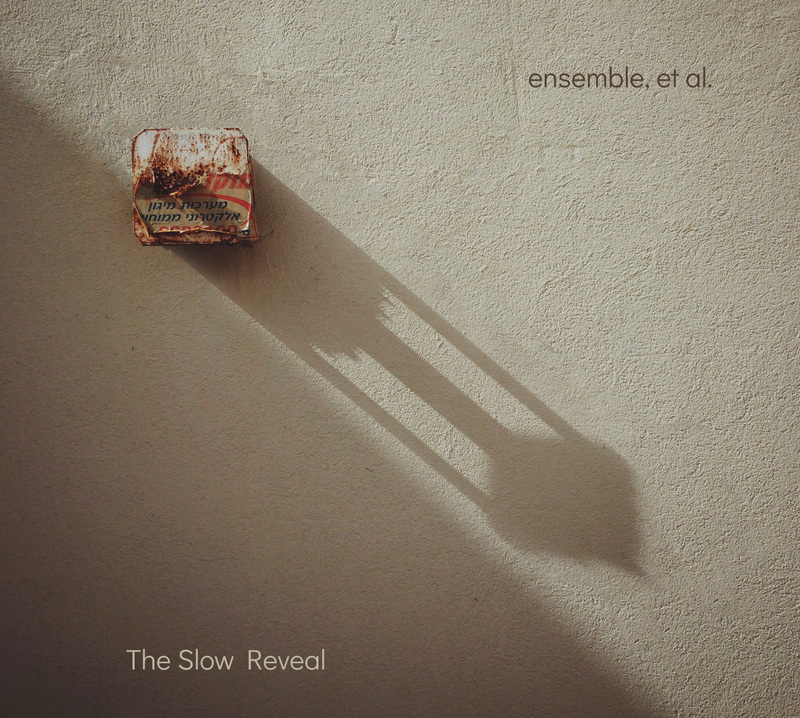 With the help of John producing and mixing the record, The Slow Reveal is ensemble, et al.’s strongest and most cohesive musical output to date. 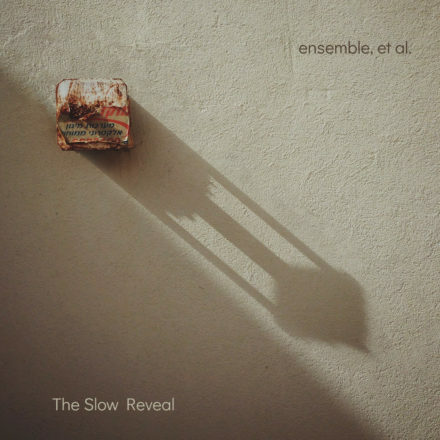 “ensemble, et al.’s latest effort, The Slow Reveal, proves that, of the many talents the band possesses, their most effective is their mastery of patience. They come across as post-rock landscape painters, putting happy, snowy trees along the frozen river of a winter wonderland. Songs like “Typewriters” and “Ondrejko” slowly assemble all their components, until sometime after the 4-minute mark they reveal their true nature. A blue blob becomes a distant mountain. Chaotic black lines become the limbs of a dormant tree. Conversational toy piano and glockenspiel become chirping waxwings in a neighborhood of drums, vibraphones, and synthesizers. One of the band’s most seductive qualities is their persistent sense optimism. Even at their most crystalline, the band has an undeniable warmth–a yellow bedroom from which one watches the incoming blizzard. Each of the instruments in their wide array of sounds is imbued with purpose. Pitched percussion take center stage with a character akin to the minimalist music that the track “Minbalism” pays homage to, the drum kit works as a fluttery revelation that betrays the influence of jazz and electronica, moaning synthesizers emerge like distant, lumbering creatures you watch with awe, and the occasional wordless vocals offer camaraderie; a reminder that the group’s wintry compositions are not lonely ones. ensemble, et al. is an instrumental band from Brooklyn, NY, who make lush, sprawling songs using vibraphone, keyboards, drums, and percussion. 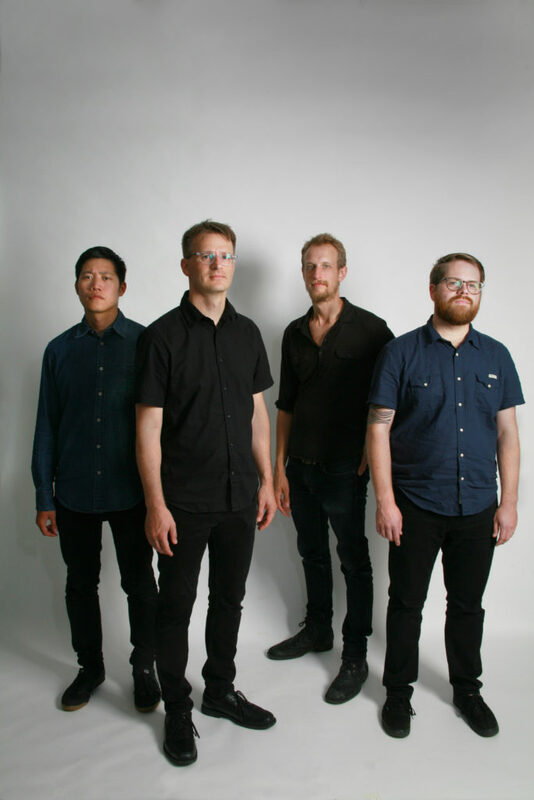 Formed in 2010 as a new-music chamber ensemble, the years have seen the band step away from the percussion quartet format and embrace a collaborative approach to creating original music. The band employs elements of rock, modal jazz, electronica, contemporary classical, and experimental music in its longform, wordless songs. ensemble, et al. are Jeffrey Eng, Charlie Kessenich, Ross Marshall, and Ron Tucker.